44" King Salmon Replica In Spawning Colors. 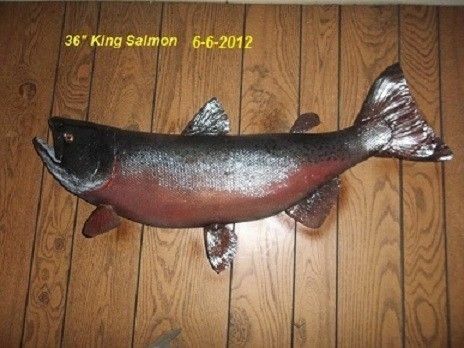 Brand new replica of a 44" male King Salmon in spawning colors. Hi Quality and detail. Not taxidermy, but great lodge and cabin decor. Dimensions: 44" long x 10" high x 8" deep.